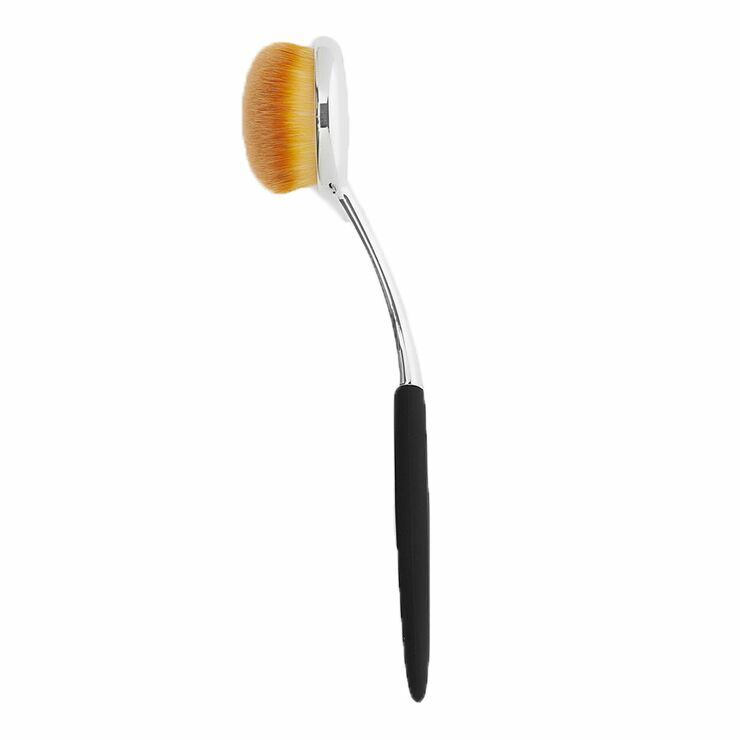 Use Sappho Buffer Brush to deliver an ultimately refined looking complexion. Tightly packed, super fine bristles give skin a high def appearance that any makeup aficionado will adore. The perfect follow up to foundation application, use this unique brush to buff and blend for a flawless look. Synthetic fibers and a bamboo handle are easy to clean. Super soft bristles are gentle on skin and the compact size makes for convenient stowing in purse, gym bag, or beauty kit. You'll wonder how you ever went without this special small blending brush. Buff skin to a look of flawlessness by gently blending and buffing post foundation application. May also be used to apply foundation or CC Cream.